SharePoint Insider is a versatile SharePoint app with additional useful features. 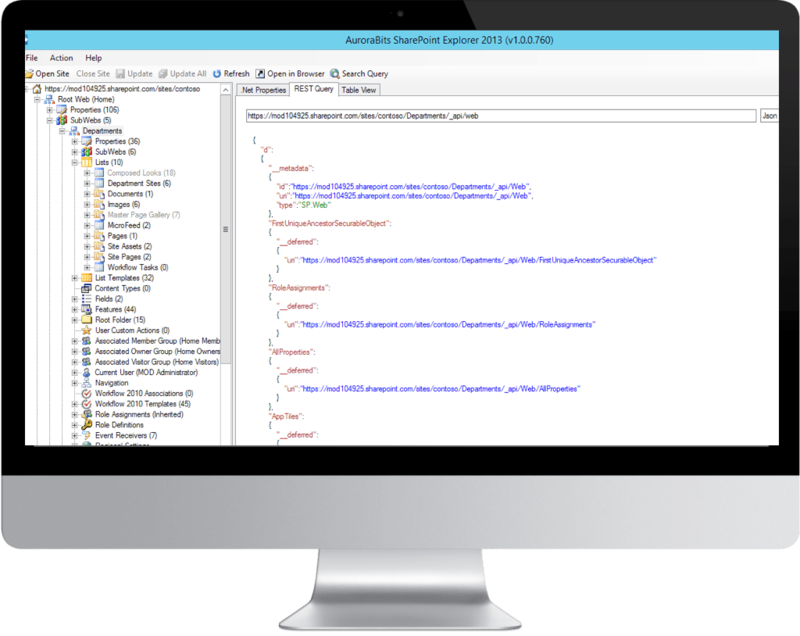 SharePoint Insider allows you to explore behind the scene SharePoint objects and their properties for development, content exploration, debugging, troubleshooting and providing technical support. There are different product versions and you can choose one that is best for you. SharePoint insider is available as a chrome Plug-in, Win Client Version, Sandbox and Sandbox Lite versions. It is also available for Farm and Farm Lite servers. The versions differ primarily on their operational mode (i.e. read-only or read/write) and deployment method (server or client). 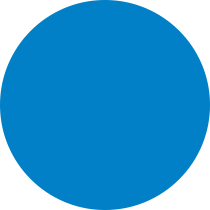 Furthermore, SharePoint Insider allows you to execute the CAML queries on any supported SharePoint objects. 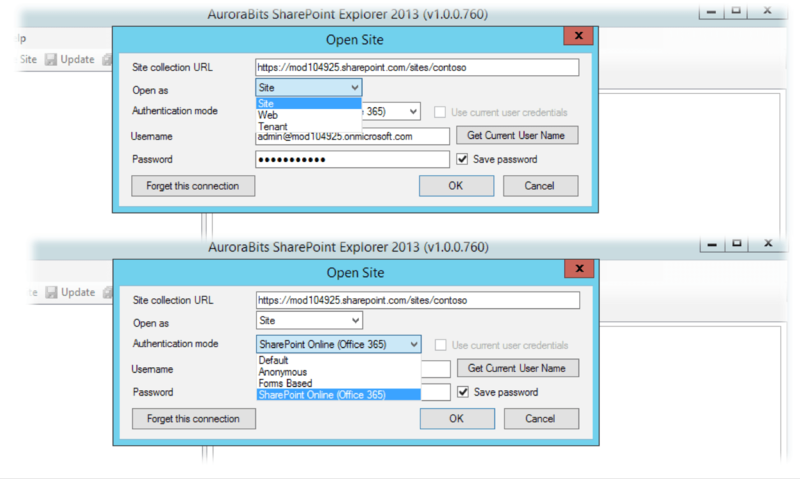 Multiple options to login with SharePoint Site Explorer and access your SharePoint sites. Explore the site objects and see behind the scene REST/web services requests and JSON/xml data. 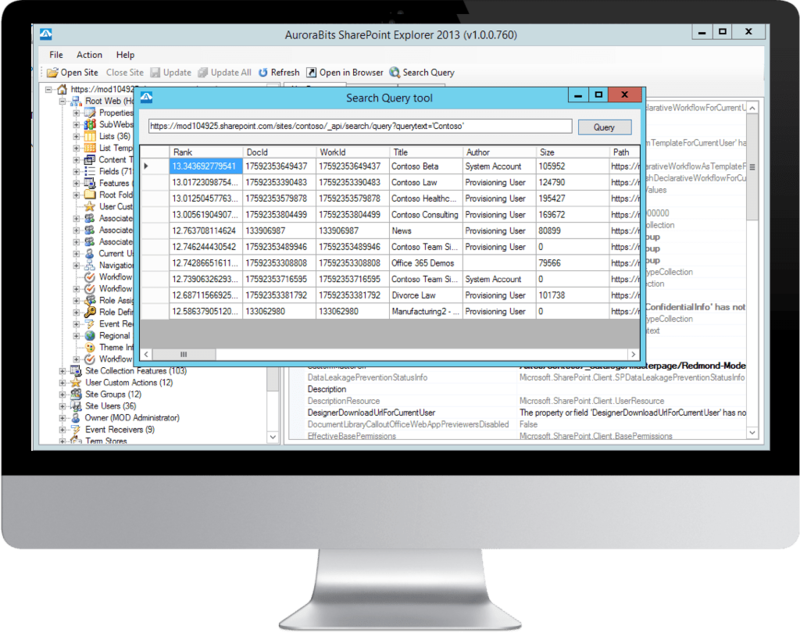 The Search Query tool allows you to search the SharePoint Site for the objects as per your search criteria. SPI is installed as a sandboxed or farm solution. This enables you to access it from any remote PC or mobile device connected to your network. 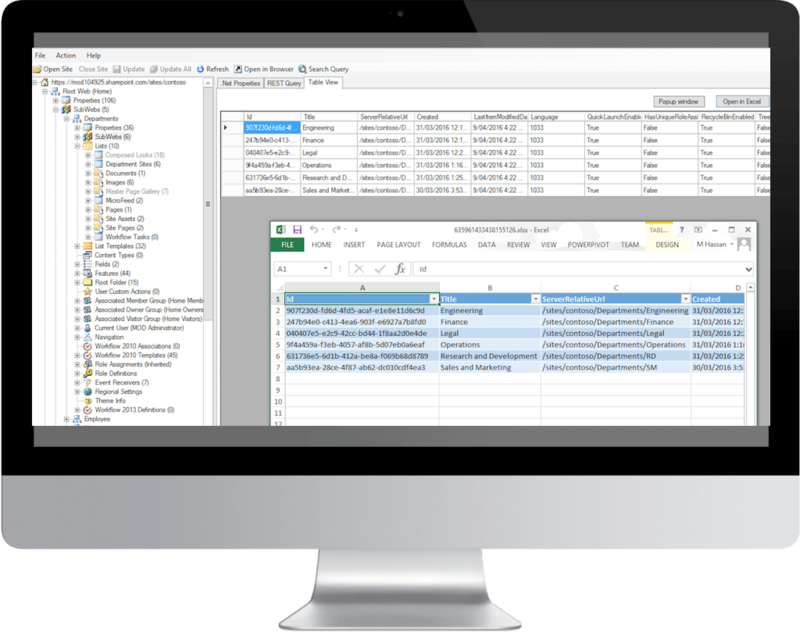 View the site objects in tabular format and export the data to csv. 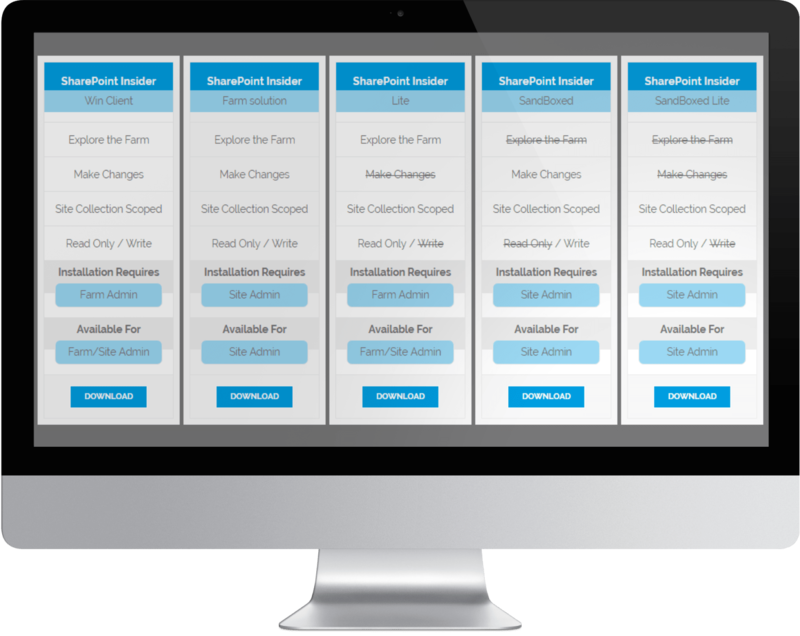 Farm solutions can be deployed at Farm level and empowers the farm admins to access all the web applications and their site collections. Sandboxed versions do not require. Explore the recycle bin and investigate the objects without restoring them back.